The Doomswell Spark Plug is a new model for 2017. 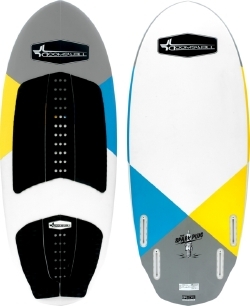 This Doomswell wakesurf board is designed to add a spark to any surfer on the boat! 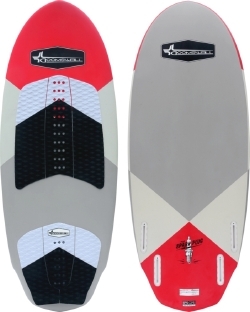 With a full nose and straight friendly outline, this board is great for beginner to intermediate riders. We went a step further and designed the Spark Plug with a double concave to deep-V tail which adds speed and drive to this fun, yet forgiving board. 4'-4" x 20" x 2.5"
4'-8" x 21" x 2.5"